The calendar application has and will continue to be one of the most important tools on our mobile devices. Android’s developers quickly implemented the calendar application in a very early version of the OS, and since then, the application has seen some major updates. That said, it still serves one main function: organizing your life. 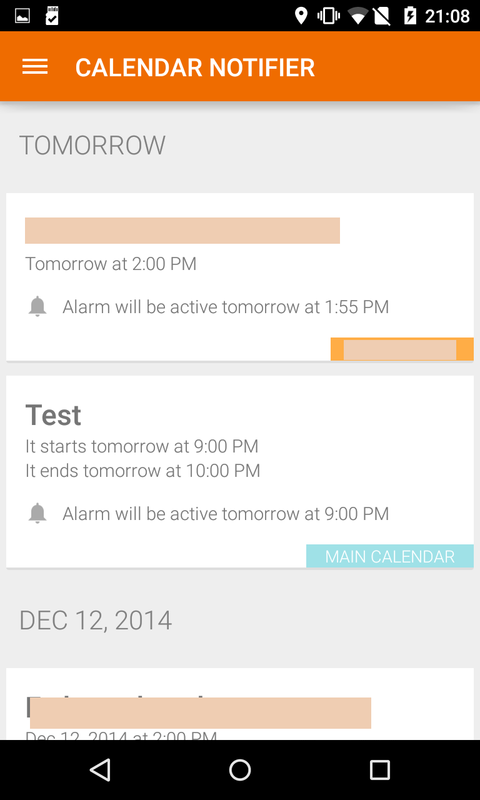 In the first party Google Android calendar, you can set a reminder for upcoming events. Unfortunately, it’s rather easy to miss notifications and skip events because our mobile phones and tablets are usually hidden deep inside our bags, and it’s often easy to forget about an important event. XDA Recognized Developer bartito identified the problem and created an application that captures your calendar app notification and repeats it until you disable the notification. The app is fully compatible with the Android Wear, which makes it an even better solution for all of you who keep forgetting appointments. Calendar Events Notifier is normally a paid application. But before you’ll decide to close this tab, please note that developer has made it free for all XDA users. To unlock the hidden features, follow the instruction provided in the opening post of the thread. Apps like Calendar Events Notifier can save you from missing an important call, wedding anniversary or birthday of your beloved. To get it, head over to the Calendar Events Notifier application thread to learn more.